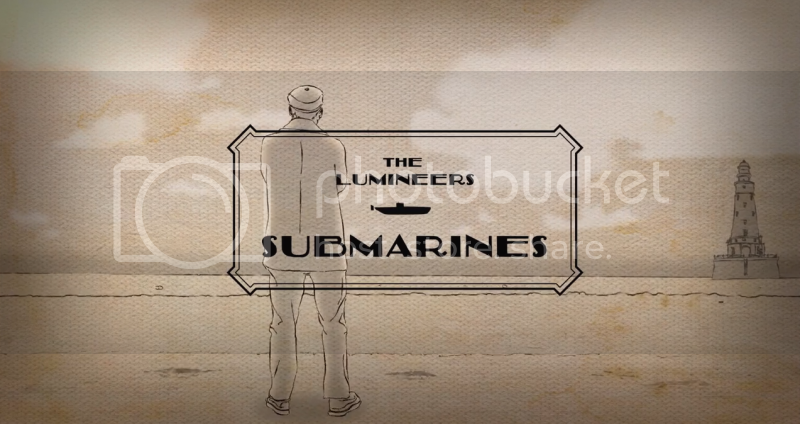 The Lumineers have just released their new video for their latest single “Submarines.” The song is featured on their 2012 platinum-selling, grammy-nominated, debut album, The Lumineers. Watch the video. Since the April 2012 debut of The Lumineers self-titled album, the band has gained a high-profile, and much respected position in the music world. With The Lumineers hit single “Ho Hey,” a platinum-selling, Grammy-nominated debut album, and numerous television and radio appearances, fans have eagerly been waiting for the release of their new single. Last week they performed the track “Submarines” on the Jimmy Kimmel Live! outdoor stage, and now have released the video for the their second single from The Lumineers. Their new video for “Submarines” brings forth a fresh dimension of artistry, with a mix of dark and light concepts, adding much more depth to The Lumineers as a whole. The video is Nicholas Sutton Bell’s directorial debut, and has been noted as an ‘animated affair’ that developed from the illustrations of Neil Dvorak. The story-line was written by Bell, Dvorak and Michael Oshins, and tells the tale of a sailor who is facing his inner demons, and the all-to-human journey of living our past into our present. Watch the video below.